Michelle Zink, "Lies I Told", Book Launch! The Golden Notebook is thrilled to host author Michelle Zink for the launch of her new book, "Lies I Told"
What if, after spending a lifetime deceiving everyone around you, you discovered the biggest lies were the ones you told yourself? Grace Fontaine has everything: beauty, money, confidence and the perfect family. Perfect for fans of Ally Carter, Cecily von Ziegesar and Gail Carriger, this thrilling, high-stakes novel deftly explores the roles of identity and loyalty while offering a window into the world of the rich and fabulous. 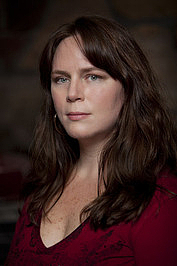 Michelle Zink is the award-winning author of six published novels and six novellas. Her first series, Prophecy of the Sisters, was one of the Booklist's Top Ten Debut Novels and a Boolist Top Ten YA novel. RSVPs are required for this event. Please RSVP to rsvp@oblongbooks.com or RSVP on Facebook. Join us for our April Hudson Valley YA Society event! We'll be joined by Jaclyn Dolamore (Magic Under Stone) and Michelle Zink (A Temptation of Angels). A monthly series, the HVYAS brings the best and brightest YA authors to the Hudson Valley in a memorable and fun party-like "literary salon" atmosphere, with refreshments, conversation, and giveaways for attendees. Sign up for the HVYAS Newsletter! Jaclyn Dolamore was homeschooled in a hippie sort of way and spent her childhood reading as many books as her skinny nerd-body could lug from the library and playing elaborate pretend games with her sister Kate. She skipped college and spent eight years drudging through retail jobs, developing her thrifty cooking skills and pursuing a lifelong writing dream. She has a passion for history, thrift stores, vintage dresses, David Bowie, drawing, and organic food. She lives with her partner and plot-sounding-board, Dade, and three weird cats. Michelle Zink discusses Guardian of the Gate. ; Michelle Zink discusses Prophecy of the Sisters. ; Jackson Pearce discusses Sisters Red. ; Jackson Pearce discusses As You Wish. ; Robin Benway discusses The Extraordinary Secrets of April, May, & June. ; Robin Benway discusses Audrey, Wait!. Michelle Zink reads from The Prophecy of the Sisters. Michelle Zink , Prophecy of the Sisters. Michelle Zink's book A Temptation of Angels was available from LibraryThing Early Reviewers. Michelle Zink is currently considered a "single author." If one or more works are by a distinct, homonymous authors, go ahead and split the author. Michelle Zink is composed of 1 name.